The current, sixth-generation Corvette is about to be replaced as its all-new successor is just around the corner, being already teased by GM itself and due to break cover at the upcoming Detroit Motor Show next month. It’s about time, too, as the C6 has been around since 2005. As it’s getting ready to exit the stage, though, another player comes charging in. In fact, it’s the only other car from Detroit that can lay claim to be an American supercar: the all-new SRT Viper. It would be unfair to the ‘Vette to even think about pitting them against each other, wouldn’t you agree? Motor Trend apparently doesn’t. It has put the Viper GTS against the Corvette ZR1, its reasoning being that the two cars are very evenly matched, at least on paper. Let’s see: they both have big-capacity engines with 2 valves per cylinder and a single overhead cam per cylinder bank up front powering the rear wheels via six-speed manual transmissions. The ZR1 is two cylinders short of the Viper’s 10, but it makes up for it thanks to an Eaton supercharger with Behr intercoolers. 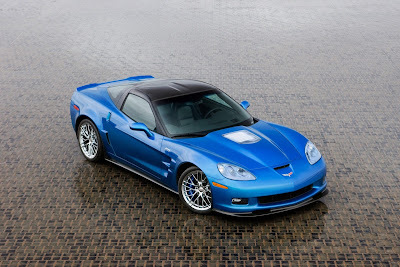 The two are separated by just 2HP and 4 lb-ft of torque: the ZR1 makes 638HP and 604 lb-ft and the Viper 640HP and 600 lb-ft. They have an identical weight-to-power ratio of 5.2 pounds per HP and, according to MT’s test data, even post identical 0-60 and 0-100 mph (0-96 and 0-160 km/h) times of 3.4 and 7.3 seconds respectively. Jonny Lieberman, along with the rest of the MT crew, found out that the Corvette ZR1 trumped the all-new Viper in every respect, including the interior! Despite all the fuss about the Viper being reborn as a much tamer animal, it’s still an animal even with the added traction and stability control, according to the magazine. Professional race driver and two-time Daytona 24 winner Randy Pobst took the two cars to post some quick lap times around the Laguna Seca circuit. One way to look at the Viper’s 1:35.77 lap time is that it’s faster than some serious competition like the Ferrari 458 Italia, the Lexus LFA, the Audi R8 GT, the Porsche 911 GT3 RS and the Nissan GT-R. 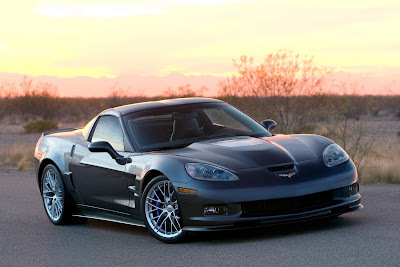 In the context of the comparison test, though, it’s 2.1 seconds per lap slower...than the outgoing Corvette ZR1. Game, set and match to the Corvette, then. The story, however, doesn’t end here. SRT boss Ralph Gilles took issue with Motor Trend’s results and vented out his frustration to the social media. “We’ve tested both cars at several tracks and never seen a gap like that”, he tweeted, adding that “many drivers needlessly fear the Viper”, “there’s a lot more left in the car, Randy has always struggled with the Viper” and “raise your game and you’ll find the last 10 percent”. In other words, he disputed the lap time and, practically, stopped one tweet short of calling Pobst, Lieberman and the rest not brave enough to drive the Viper as it is meant to be driven.